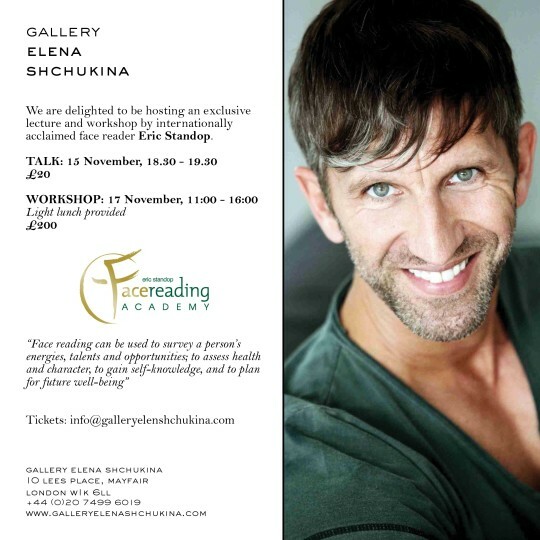 Gallery Elena Shchukina is delighted to host an exclusive lecture and workshop by internationally acclaimed face reader Eric Standop. On 15 November, Standop will join Gallery Elena Shchukina for a talk on face reading, and how it is possible to identify a person's talents and opportunities by using this ancient technique. The lecture will be followed on 17 November by a 4-hour workshop, during which participants will have the opportunity to learn face reading techniques.